During the year 2017, Xiaomi has launched several smart phones from the Mi series aimed at a higher segment, compared with the Redmi series targeting the lower middle segment. By the end of 2017, it seems the company is getting ready to launch the smart phone from the next Redmi series, and recently Redmi Note 5 rendering has emerged. So far, Xiaomi has launched Redmi Note 5A which is the cheapest variant of the Redmi Note 5 line. In addition, there are also leaks on Redmi Note 5 Plus, but most people look forward to the original Redmi Note 5 which is the main variant of this fifth series. 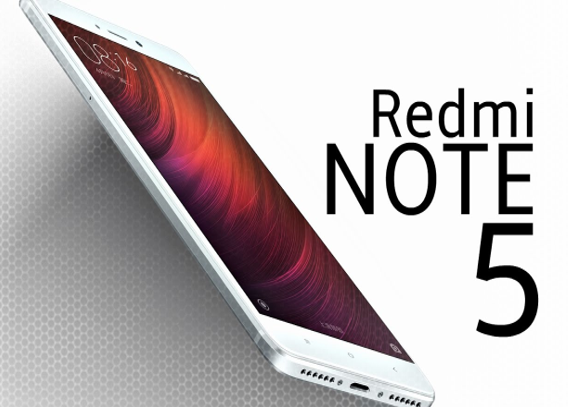 In terms of design, not many changes found in Redmi Note 5 when compared with Redmi Note 4. The screen is still carried 5.5 inches with capacities buttons and use a metal body that is still the same as its predecessor. But we will see if the ratio of the screen that carried Redmi Note 5 is 18:9. The presence of Redmi Note 5 seems to also follow its predecessor, which comes with Media Tek Helio P25 chip set, which is followed by Snapdragon 660 or Snapdragon 630 chip set variants. While the memory configuration will be 3GB of RAM + 32GB ROM and 4GB RAM + 64GB ROM. At the rear, we will find a dual-camera setup, which is expected to consist of 16 MP + 5 MP. "While" for the front camera will use a 12 MP sensor. Redmi Note 5 is also still carrying the fingerprint sensor on the back and bring the battery capacity of 4000 mah. Redmi Note 5 should also come with MIUI 9 based on Android 7.1 Nougat. Although not yet known when this smart phone will slide, but considering this rendering has emerged it seems the launch of this smart phone is imminent.